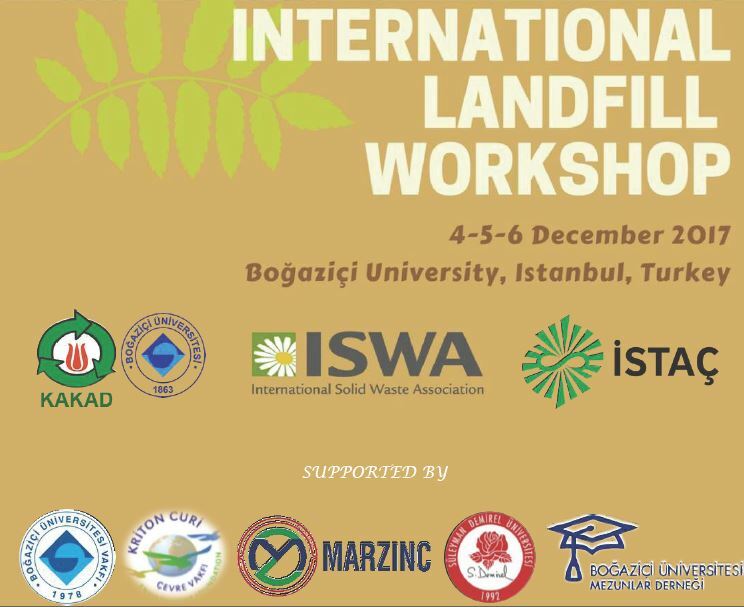 The Consultant Company I. Frantzis & Associates Ltd. attended and contributed to the “International Landfill Workshop” which was held at Bogazici, Istanbul, Turkey from December 4 to 6, 2017. The international Workshop was organized by the Turkish National Committee on Solid Wastes (TNCSW), International Solid Waste Association (ISWA) and premier Waste Management Company of Municipality in Istanbul (ISTAC Inc.) with the strong support of many national and international institutions aiming to demonstrate the key areas and critical issues to be considered in construction, operation and maintenance of Landfill. Mr. Ioannis Frantzis (Director) had a speech on Tuesday (05/12/2017) and the Topic of his speech was: “The Role of MBT in Solid Waste Management within Future Challenges”.